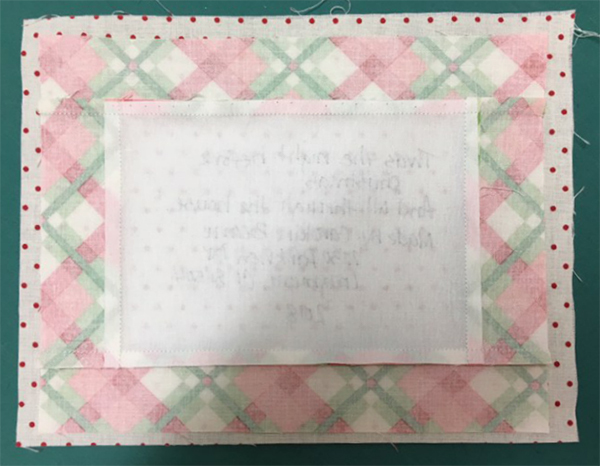 Carolyn Beam is back to talk more about quilt labels and share a very simple technique for making them. 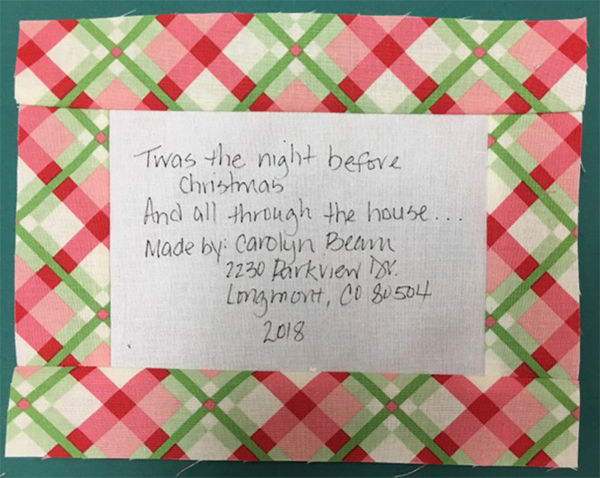 Carolyn has been in the quilting industry for over 30 years. 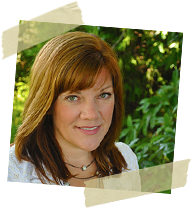 She had her own pattern design business, Colorado Quilt Designs until starting to work for Quiltmaker Magazine in 2005 as an editor. Her career at the magazines evolved into becoming the Content Director for Quiltmaker, McCall’s Quilting and McCall’s Quick Quicks until February 2018. She now spends her time doing freelance work in the quilting industry and spending time with her family. Hi Carolyn Beam again. Well, now that you know how important it is to add labels to your quilts, let’s have some fun with them. 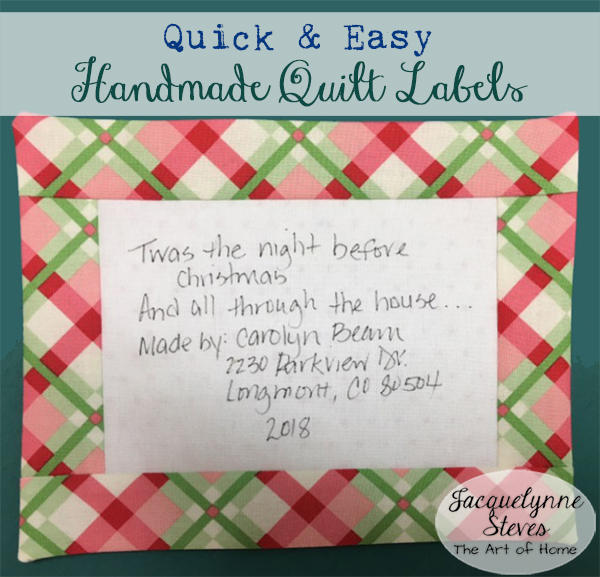 For the quilts I keep for myself or even some of the ones I make for family, adding the basic information to a label works fine, and I love using the preprinted labels for their ease. 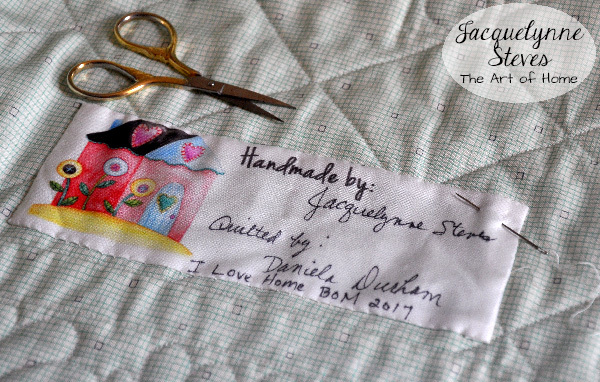 If you are looking for something quick and easy, there are many sources for ready made labels that you can just fill in pertinent information like these cute labels in Jacquelynne’s shop. But there are times when I want a little something extra—especially when I’m giving a quilt as a gift. Precious one so small and sweet, dancing in on angel’s feet. Straight from Heaven’s brightest star, what a miracle you truly are. Behind you – all your memories, Before you – all your dreams, Around you – all who love you, Within you – all you need. There are so many fun additions you can add to your label to make it special. If you’re artistic, adding a little drawing is fun and special. OK, now you have some ideas, let’s get the label made. The first thing to do is to either write your label by hand using a fabric safe, archival pen, such as Micron pigma pens, print it from your computer onto printer-friendly fabric or embroider your label. My favorite way to construct my label is a method I learned from a former coworker and dear friend, Diane Harris, stashbandit.net. 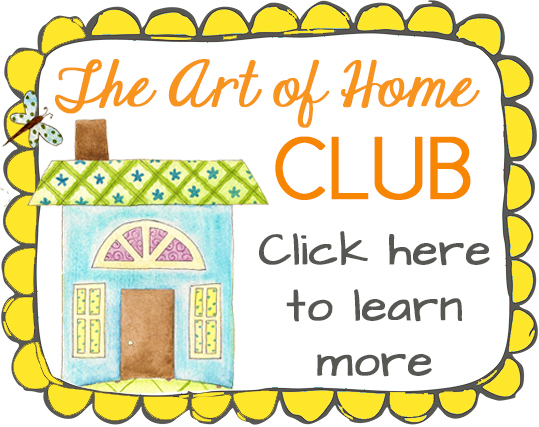 You can find her instructions here- Be sure to check it out! Here’s a label I made using Diane’s method. 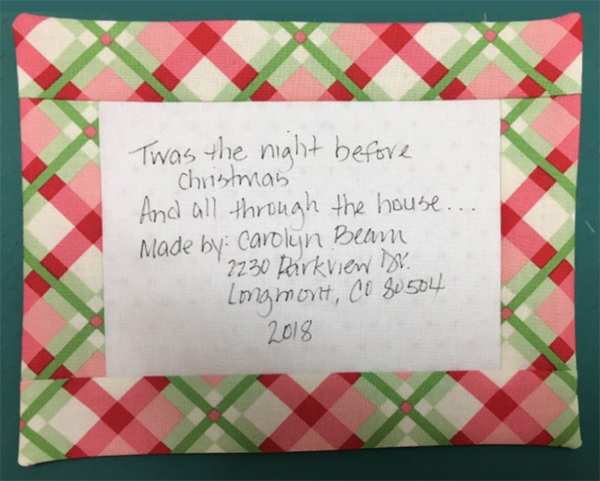 After writing my information and trimming my label, I sewed I 1/2″ wide strips around all sides for a border. I laid it on a piece of backing fabric and sewed around all four sides. I trimmed the backing even with the label and trimmed all four corners. In the middle of the backing I cut a slit – about 2″ wide. I turned the label right sides out through the slit and pressed the label flat. Ready to add to the back of my quilt. I like this method for label making because there are no 1/4″ seams to turn around the edges. Easy, quick and looks great! With this easy method, all your quilts can have labels in no time. I’m working on catching up on mine as well! That was supposed to say what PEN do you use. Love this idea for a label. If you use iron-on vylene as your backing (glue side inside) when you turn it inside out you can simply iron it in place on your quilt.